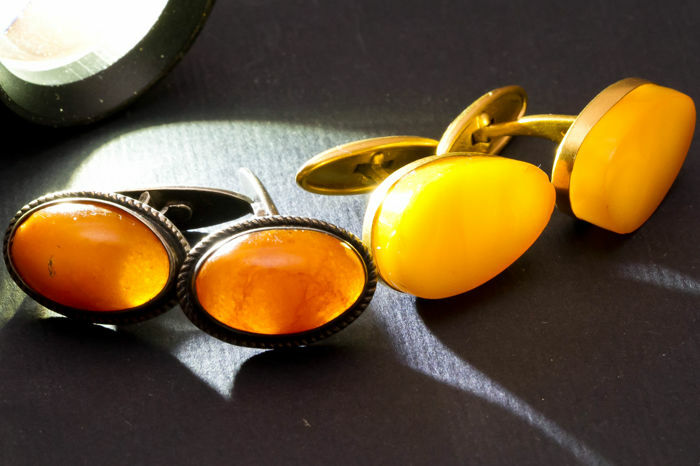 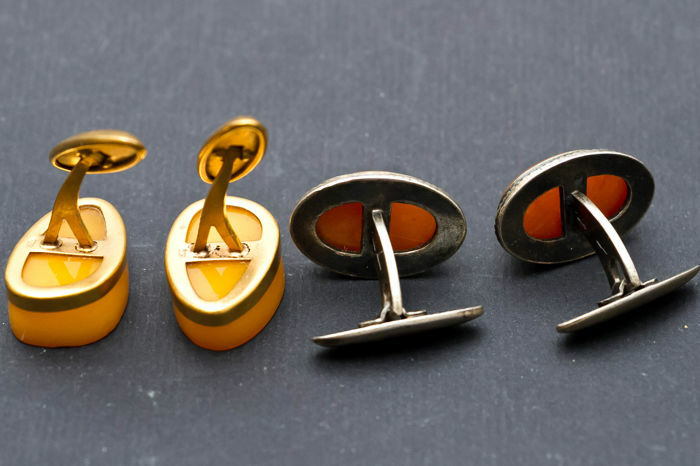 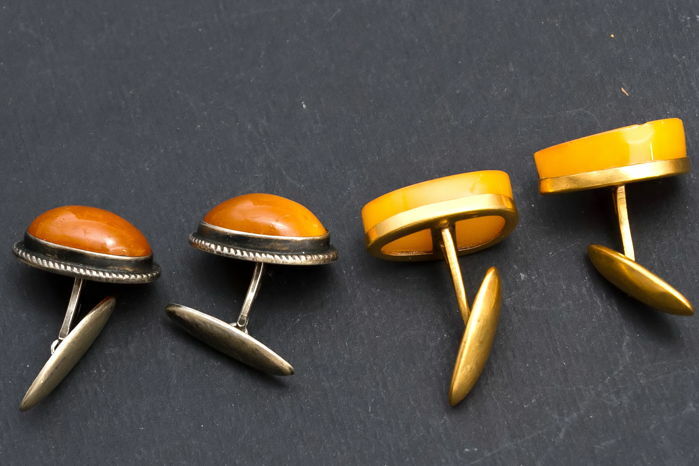 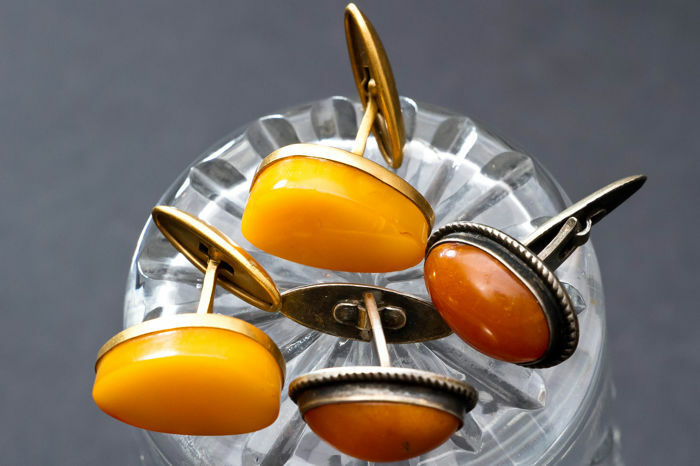 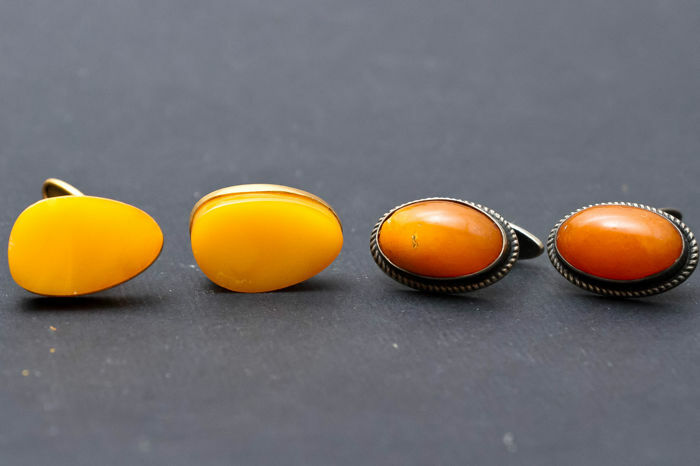 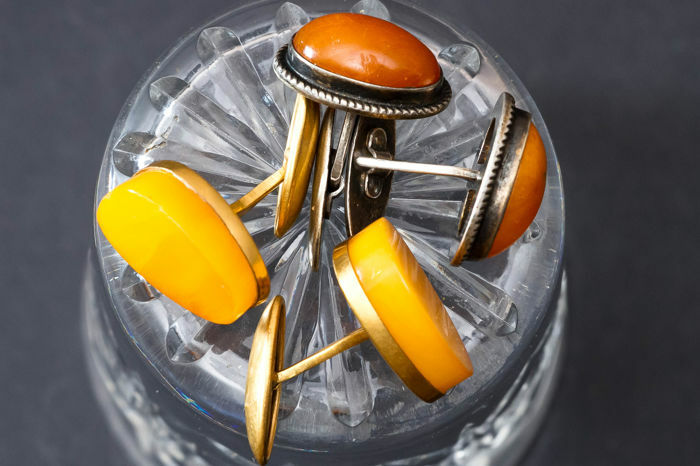 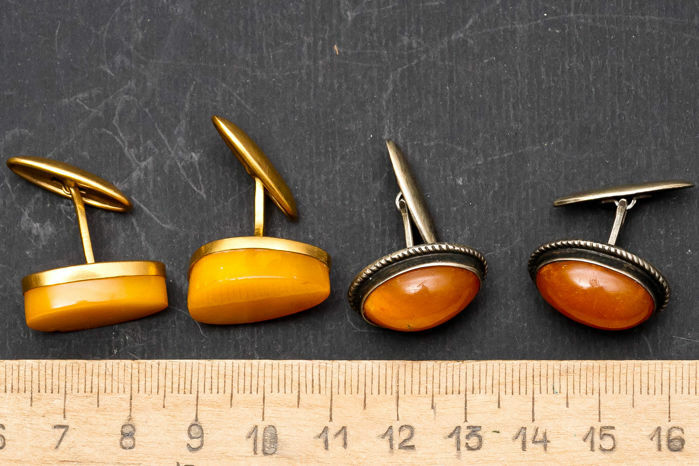 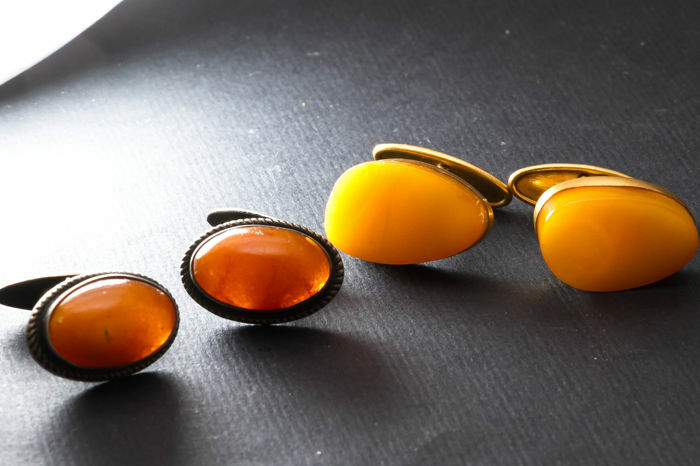 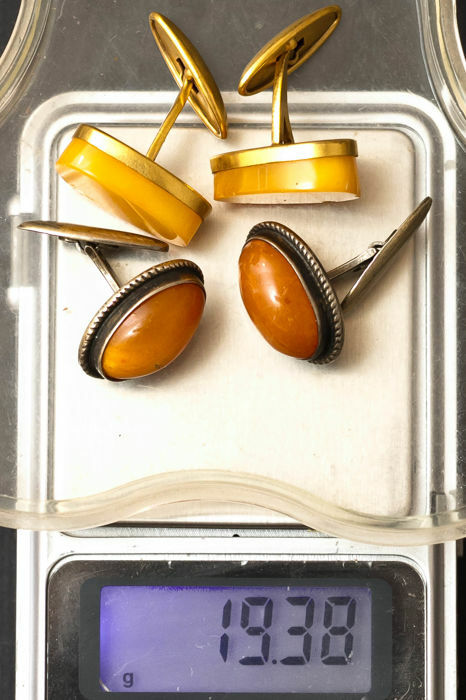 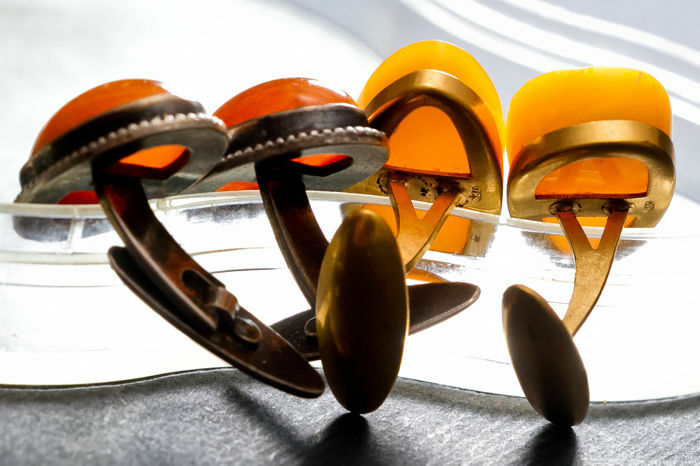 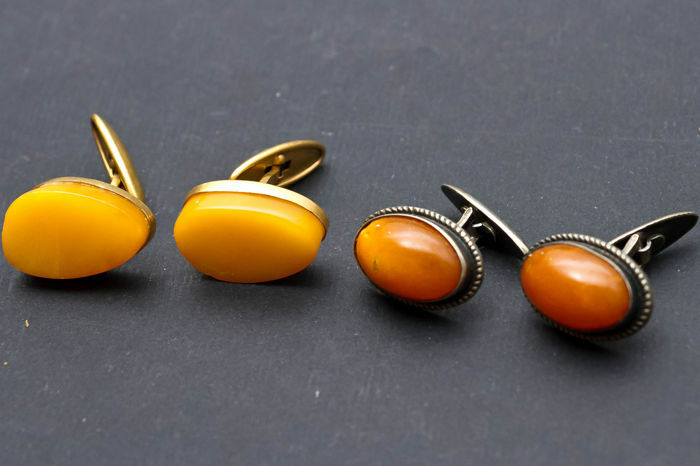 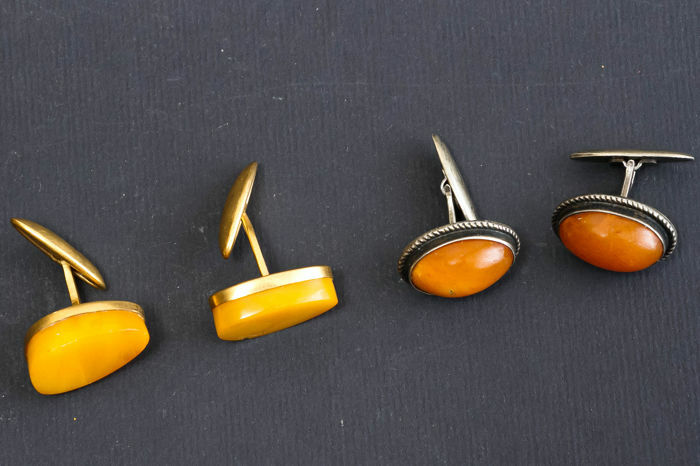 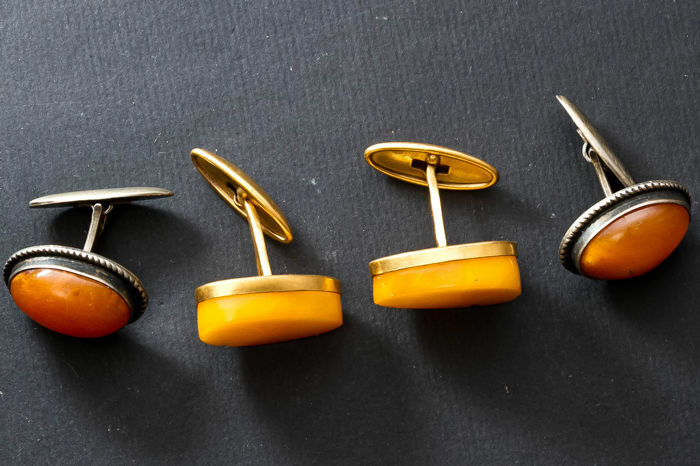 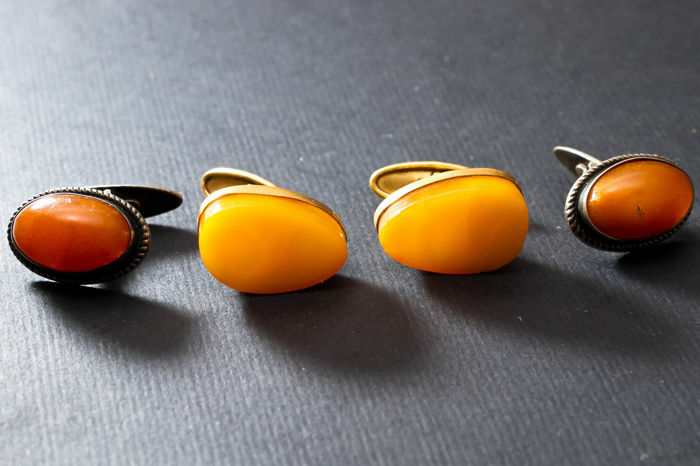 Vintage, very interesting and gorgeous set of butterscotch & egg yolk natural Baltic amber cufflinks one of them silver and other is gold plated brass. 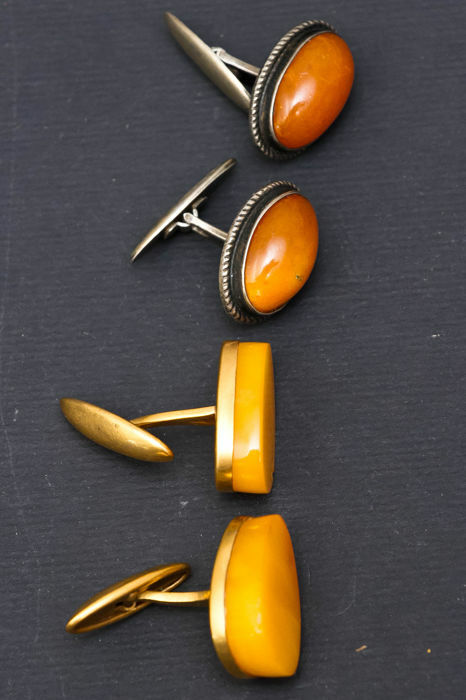 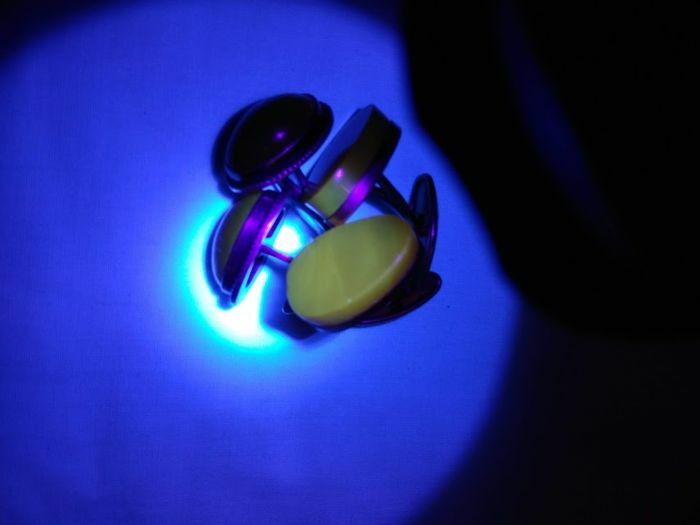 Material: Silver 875 and brass gold plated! 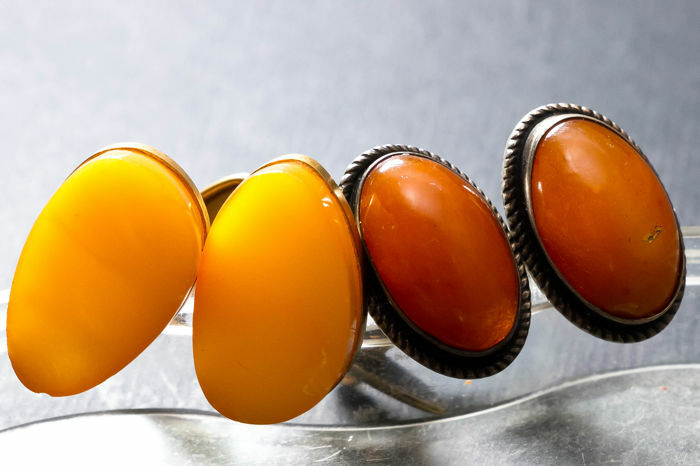 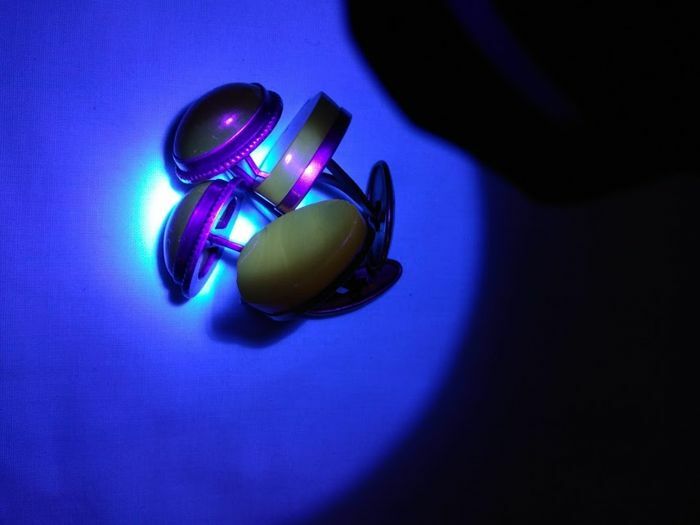 TESTED 100% NATURAL BALTIC AMBER. 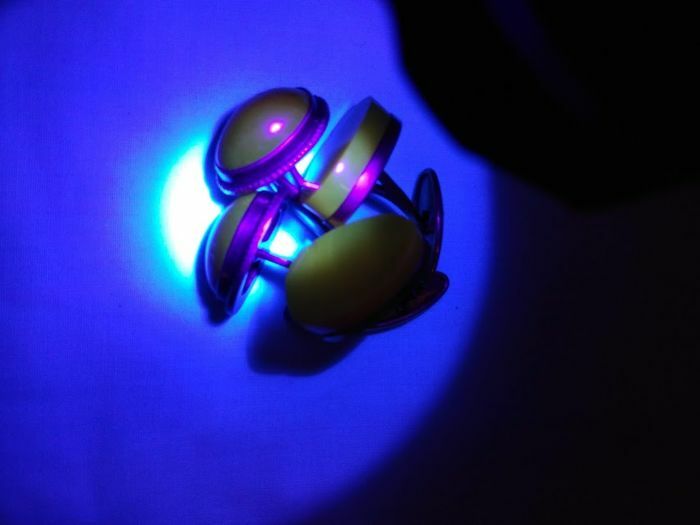 Smells like pine if you warm it, and tested by specialist with UV light etc.